A happy customer is worth gold. Let us help you to understand your customers and create better customer experiences to make your company stand out and leave your competitors far behind. CX Masterclass is here again! Join us with CX guru Ian Golding in Helsinki in May for everything you need to know about CX. CX consists of many different elements. Customer research, Design Thinking and brand renewals are not enough. A good experience always starts from people – employees. Have you heard about the 14 Principles of Leadership that Amazon uses? Read our blog and you will also learn why the writer is a big fan of Jeff Bezos. DO YOU TALK YOUR CUSTOMERS' TALK? Do you know what your customers think about your company? Can you engage your employees to deliver great customer experiences? Our Customer First training focuses on the possibilities of Voice of Customer and its business benefits. Everybody wants good customer service, including your customers. Our experienced professionals will train your company to become the champion of customer experiences. We will create a business fit plan for your company and help you run faster than any of your competitors. When you need competent professionals to spar you to higher levels of business fit in your customer encounters, we support you on each step. If you prefer, also as a resource, whereby we agree on your goals along the way. Your customers deserve unforgettable customer experiences. To stand out, you need to understand how to provide exceptional and first-rate customer service in every single encounter. You desire a faithful customer who buys plenty. You also crave for customers who recommend your company and disseminate a positive image of your brand. You are already on the right path. Now it’s time to learn to identify the ones that bring the most profit to your company and create something quite unique for them. The better you listen to your customers, the more money you will make. We will guide the conversation between the customer and your company, in order to turn customer understanding into euros. Do you know whom you are selling to? We will help you collect, analyse and manage the right information in order to get sales soaring and win your customers’ hearts. Could your company offer service that is unique and surprising? With our help, you will create solutions that your customers need. We support you in optimising your business model into perfection. Develop your service to a level that makes customers unable to resist. Do you know, how mature and healthy your company is in customer experience management? And how you compare to your competitors? Do you need a little shape up? In all our trainings and projects, we act like a personal trainer: we start with an audit of your business health, to understand where you stand currently. Your knowledgeable personal trainer helps you by reviewing your basic condition in customer encounters, and defines the possible pain points. By going through the different parts of your customer relationships, we are able to tell you what areas your company should focus on, in order to get in top notch. Based on the results, we agree together on the level that you want to strive towards. As you follow the business fit plan designed for your company, your know what kind of exercise is needed to develop your customer relationships and customer experiences, so you will always run faster than your rivals. A clear marching order helps in pulling through the training program that you will need to achieve the goals you have set, and meet the desired level of business condition. We encourage and motivate the competence development of your company. With the program planned together with your personal trainer, you will be able to find a pace that fits your needs and feels good. The aimed customer experience strategy will then be put into practice, and the achievements towards the set goals – the pulse of the customer experiences delivered by your company – measured in all everyday customer touchpoints. Your personal trainer will be supporting you in achieving these goals on each step you take. Memorable and profitable service on your customer’s terms. We want to help you to understand and serve your customers better, in a consistent and long-lasting manner. With us, you can develop a customer-focused environment, filled with wonderful experiences, strengthen the bond between the customer and your brand, and make your customers happier and more engaged. We will spar you on the game fields of customer service, where you will, as the quarterback of your company, offer memorable and profitable experiences for your customers. We will coach your team to play together like never before and tweak your game techniques. We offer your players many ways of information gathering, e.g. focus groups, customer interviews, instant feedback, customer surveys, ethnographic studies, exit shopping interviews and secret shoppers who evaluate your customer service quality by assessing the approachability and atmosphere of your stores from the perspective of your customers. Based on the attained customer understanding, we will design your company better, more memorable and profitable customer experiences and bring the plans to life to your customers through service design. Success begins with your customer. Have you got any idea which of your customers are the most profitable to your company? Or who will bring their friends and colleagues as your customers? With well-thought customer segmenting, you will increase the customer profitability of your company. We know how to recognise which of your customers should be paid attention to and how. We advise you on the type of campaigns suitable for implementation and how to manage your customer dialogue as a whole. Get your voice heard amidst your customers and achieve your desired results with us. We can help you to devise suitable models for managing customerships to engage your customers. Our recommendations will make you able to meet the requirements of different segments. We will tirelessly guide you in searching for solutions to refine your customerships and to build an operational customer vision that drives your company to gain revenue, reach a more cost-effective way of operation and create more profitable customerships. Our goal is to train you to addresses customers’ needs, increase recommendations and improve sales all in one go. Understanding your customers creates profits. Do you genuinely understand what people think of your company? Both your current and potential customers are actively conversing in different channels. You should be able to listen to what they have to say: in their conversations, survey answers and feedback, lies information about their needs, dreams and hopes. Understand the information that can improve the reputation of your company as a reliable and customer-friendly brand. Concentrate on creating and sustaining customer understanding, because customers don’t always know what they need. You can also push forward your customers wants through an effective and relevant customer experience. When we become aware of what is thought of your company, we will help you to utilize the information to develop your business. We offer the needed tools and support you in planning the necessary procedures, processes, metrics and roles & responsibilities for your organisation. Engage customers by using the voice of your customers in product development, and prove them your company has listened and taken heed. Turn their wishes and feedback into reality. Make no mistake about it, you will win their hearts! Competent customer intelligence management leads to successful customerships. Many companies gather customer intelligence, but are you one of those who can find the core information from the mass of data? Mere collection of data does not let you in on what the customer really, truly desires. In fact, inaccurate information may lead you astray. One must dig deeper and know what information is relevant and have a factual meaning in developing sales and customerships. To drive your business with data, you must know who your customers are. When a customer is identified, services and products are far easier to personalize. Knowing your customer and using targeted marketing activities and communication will increase sales and improve the popularity of a brand. We will help you to see past the data and inform how it is possible to predict customer shopping behaviour and to develop and deepen your existing customer relations. We will audit your customer data and offer models and procedures to manage it so it can be used in planning and developing its business. We will also help you in managing and utilizing big data and coach you on benefitting from data-driven business. Let us be your guide in making you successful with your collected data! Know your competitor, run faster. Are you sure you know your competitors? When was the last time you thought about the needs of your customers? If you want to win your customers’ hearts, you must know who they are. You also need to know who you would like as your customer. An inventive and intuitive business idea that pays attention to a basic need will take you far. We will help you investigate what kind of products or services are worth producing and selling to customers. Together, we will design what your company needs in order to succeed in a competitive environment, turn that knowledge into successful activities, and train you to be the ultimate winner on the finishing line. Think about your customer first. Sirte Pihlaja is the CEO, Customer Experience Optimiser of Shirute, the first customer experience agency in Finland. She is also heading the activities of the Customer Experience Professionals Association (CXPA) in Finland. Sirte is an internationally known expert in her field, a trainer, designer and strategist with over 20 years of experience in advising large domestic an international corporations and brands in different industries (e.g. Elisa, Arabia, Fiskars, Hackman, Iittala, Marimekko, Nokia, Nordea, Rovio, S-Group, TeliaSonera, Veikkaus, VR and Finnish Broadcasting Company). Sirte delivers creative solutions in customer experience research and experience design, customer experience management, data-driven business, voice of customer and reputation management, and concretising solutions through multi-channel service design. Antti Harjuoja is an advocate and a driver of customer-centered business. Currently, he works as a Culture Designer and NLP Associate Trainer at Milestone. 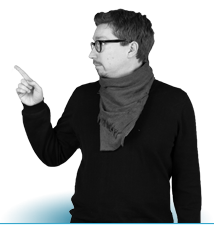 Antti has over 10 years of experience from various customer-facing roles in different industries. 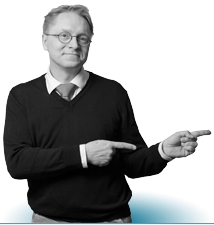 He believes that customer thinking must be at the core of developing customer experiences. 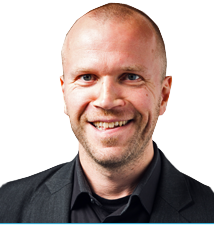 Antti is also an active social media manager who shines in identifying the most effective new digital channels and practices. 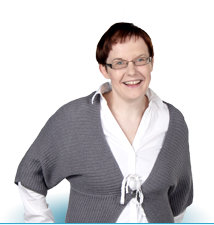 Krista has almost 20 years of experience in marketing. She has worked in ad agencies as a producer, planner and account manager. Strategic marketing planning, creative communications, event and concept design and customer experience based marketing are close to Krista’s heart. Challenges and tight schedules motivate her. She has been leading projects and teams for many years at Stockmann, being in charge e.g. of Hullut Päivät campaigns. 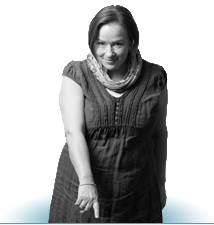 In addition to her own ad agency, she manages the marketing of Tapiola city center. 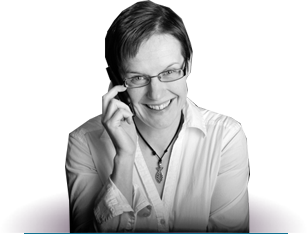 Krista believes that targeted communications, voice of customer and creative marketing – combined with unforgettable experiences – are key elements that can be utilised to strenghten customer loyalty. 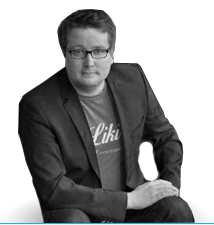 Manne Laukkanen is an experienced customer data architect, who helps companies to utilize their consumer and customer data to drive their business. 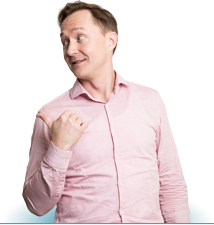 Manne works with analytics, business intelligence, big data, business intelligence and data warehouse-solutions and acts as a technical project manager, senior IT expert SCRUM master. He focuses on customer profiling, especially buying behavior, and utilising demographical and geographical customer data. Manne is a Ph. D. specialising in IT solutions. He can help you in all the phases of customer data management: data collection, data modeling, storage, quality monitoring, data aggregation, reporting, statistical modeling, and more advanced solutions for data-driven business. 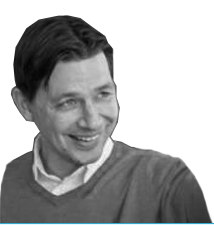 Karri Pulkkinen is specialized in B2C business growth, profitability improvement and customer experience development with the help of information technology and analytical methods. Karri has designed and implemented technology solutions that serve tens of millions of consumers for B2C companies, and has profound knowledge of big data technologies, traditional data management and predictive analytical methods. He has 20 years of experience in IT as a technology expert, consultant and business line manager. Joona is a Creative Designer focusing on visual communications and user experiences. With over 15 years of hands-on experience on marketing, concept creation and graphics design, he is no stranger to all imaginable media and communication methods. He provides visually impressive, easy-to-understand concepts and end products from visual identities, user interfaces, motion graphics, packaging and advertisements to social media and beyond. Joona lived most of his childhood in Japan, soaked in the advanced communication environment with a visually rich landscape. He holds an Advertising Graphic Artist’s Degree (MG) from The Institute of Marketing of Helsinki. Are you a customer experience management professional or a company, that wants to encourage its employees to develop their skills in customer experience? CXPA Finland is the local networking committee of the international, non-profit Customer Experience Professionals Associationin (CXPA). Our aim is to get companies deliver better customer experiences. We organise regularly interesting events on these topics, and you are warmly welcome to participate. Join us in developing customer experience management practices in Finland, and to share current information and best practices with your colleagues. Our activities in Finland are lead by Sirte Pihlaja, CEO and Customer Experience Optimiser from Shirute. She is one of CXPA’s international founding members. Would you like to understand, how you can stand out from your competition, and get your customers to buy your services – not even looking at the price? Please leave us with your contact information, so we can plan together how your company can become the best in customer experience management! Does your company need a little shape up in customer experience management? We win over hearts and make your customers happy. We know how to inspire people to buy, engage and recommend! Let’s start running together to become a customer champion!